Fill in the paths as shown below. Reboot your computer. 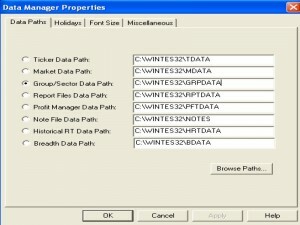 Once the computer has come back up, DO NOT try to open Data Manager. 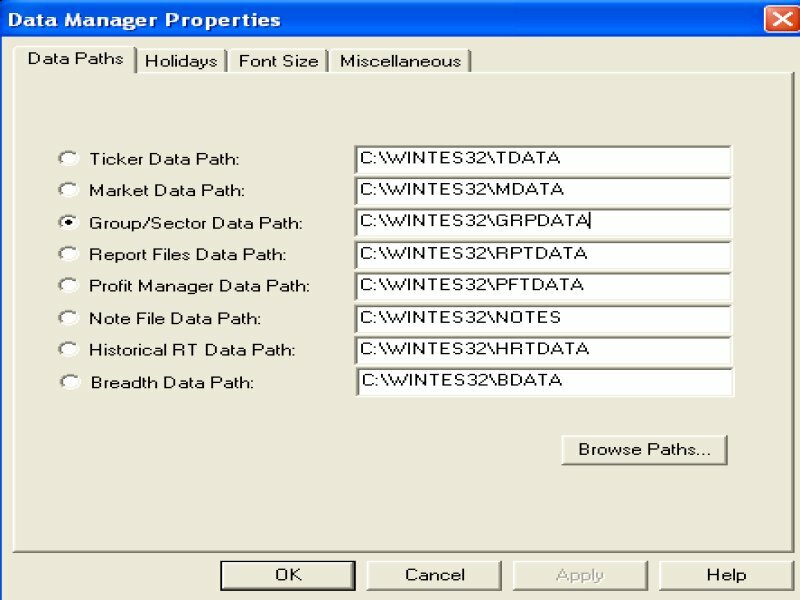 Open Windows Explorer, locate the c:\wintes32 folder. Locate the tdata folder. Delete the files master.adf and master.ndx. Once those files are deleted, open Data Manager, say Yes when asked to Rebuild. SP500 List changes: Go to www.spindices.com. Updated lists: Go to www.aiqsystems.com/lists.htm. When the program begins processing the data I get a GPF in AIQcom32.exe, how can this be fixed? Open Data Manager, click on Utilities, choose Rebuild Master Ticker List. When I update I keep getting a message “limit exceeded”, and data will not update, how do I correct this? Open Data Manager, click on Utilities, choose Delete Non Trading Tickers.